As of December 2010 we have added 7 new species. The four fish are Brill, Burbot, Roach and Round Goby, two mammals; Otter and Human being, one Bird; the Osprey. Along with these we join two algea; Pterothamnion Plumula and Stackhouse Frond. 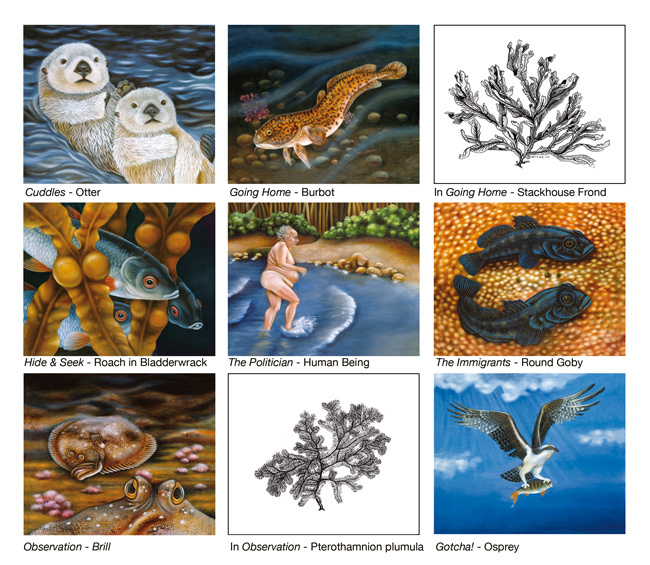 Please visit the Artwork & Sea Life Facts for information on these.